It’s the day after Black Friday, and I hope you saved your pretty pennies! For what, you ask? Small Business Saturday! Sure, you can walk into a fancy department store, overwhelmed by racks of products. Maybe, just maybe someone will help you, or smile at you, or ignore you which is often the case. Your money will go to brand that sees your purchase as a number or percentage, on a black and white spreadsheet. Yes, your purchase still matters to that brand, but when you shop small businesses, you support their dream. They’ll remember your face, your conversation, and you’ll remember that purchase. Small business owners, wear many hats, and they give it all they’ve got. They have to, to be successful. They add flavor and style to their brands. I love purchasing something that was handcrafted, and made with love, while having a conversation with that same person about their own dream, and how they got their start. It’s inspiring to say the least. As a small business owner myself, I’ve designed jewelry for many years, and I know what it means to really work for it. It isn’t easy. But, rewarding? Definately! That being said, here are a few of my favorites to support on Small Business Saturday, along with my own. 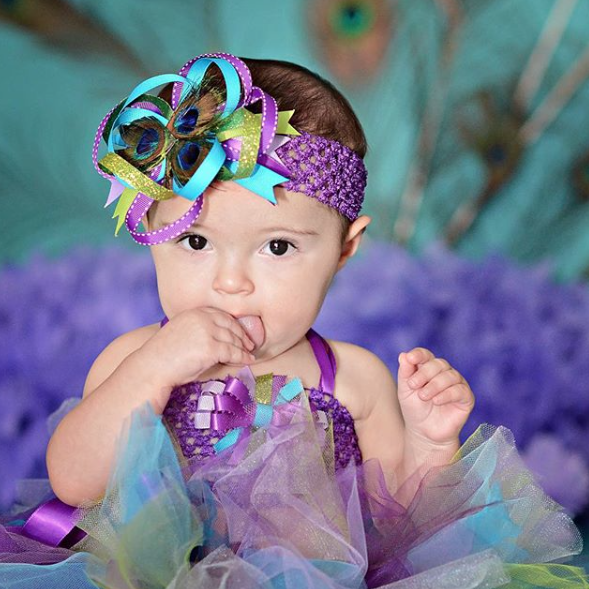 Kenzie’s Klozet by Jillian Tarantino - Children’s Designer: Hello pretty bows, headbands, and too many tutus! 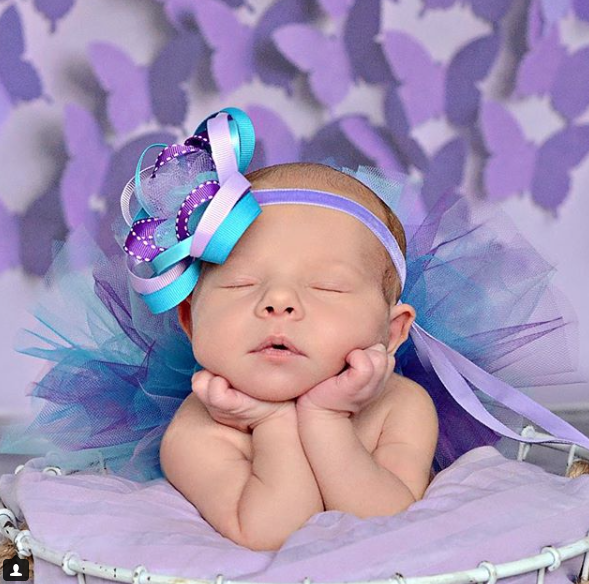 Jillian designs the most gorgeous, custom made, girlie accessories for the little munchkin in your life. She is beyond talented! You can find her fabulous work, on Instagram. Hallie Friedman Jewelry: My love for jewelry design began as a child, when I would shop with my mom, picking up the beads and sequins that fell off dresses, as she shopped. My dad designs luxury jewelry and taught my about the precious and semi precious stones at a young age. I am self taught, designing costume jewelry for about 10 years and I have a true passion for it. 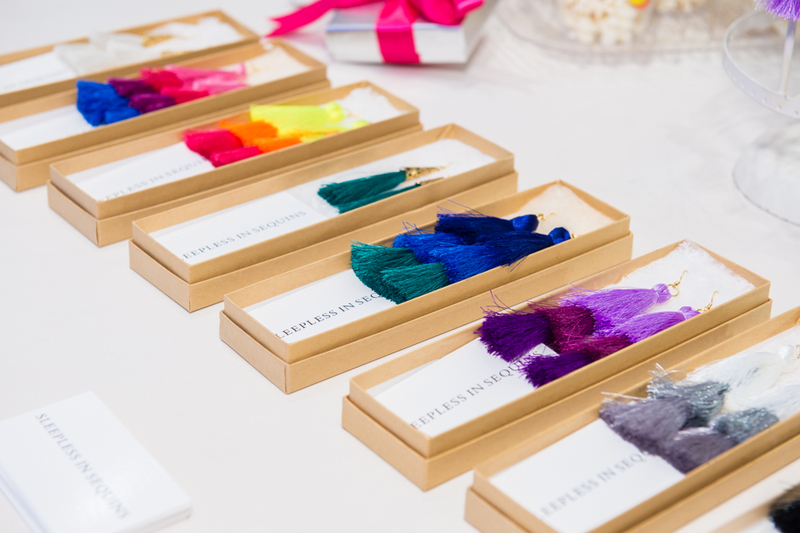 I love bright colors, mixed metals, and especially tassel earrings! You can find my collection here and email me for deets at hallie@sleeplessinsequins.com. 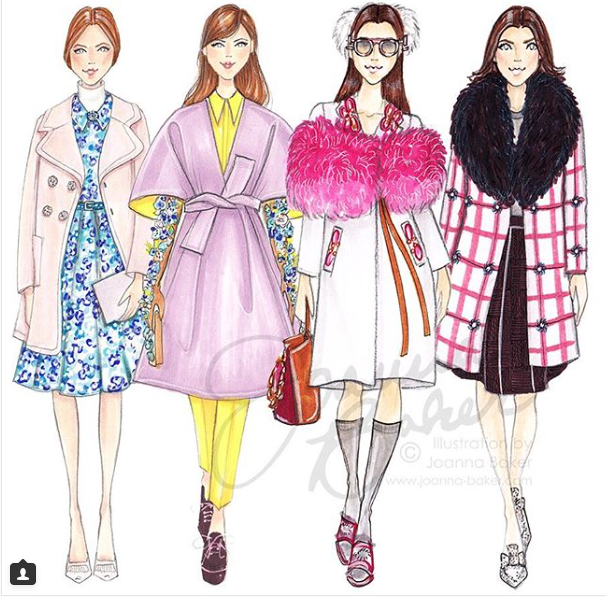 Joanna Baker – Artist and Illustrator: This fashionista is beyond talented! She creates the most gorgeous fashion illustrations, bursting with color. I want each and every outfit she illustrates, and her accessories and just stunning. For gift giving, she designs cards, phone cases, cosmetic cases and other fancy gifts with her illustrations. You’ll absolutely love her work, and you can also find her on Instagram. Lexicon of Style Scarves by Alexandra Dieck – Lex, is best known for her killer sense of style, her blog, and her fabulous scarves that she designs. I’m in love with every color and every print. She styles them to the nines, and they make the best gifts for the holidays. Make sure to check out her gorgeous collection. Bandtz by Julia Gabella – This hair accessory designer had me at hello! 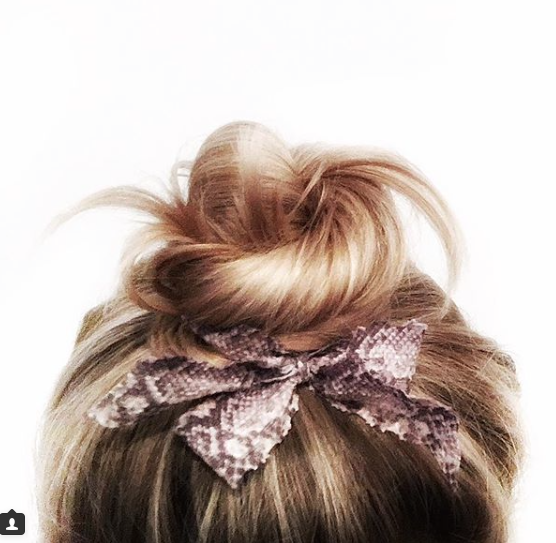 Julia is never without a perfect blonde ponytail or ballerina bun, accessorized with the oh-so-glamourous Bandtz hair ties that she designs. There are so many lovable options in every color and texture. They are the perfect pop of color to add to your top knot, and they make for a great holiday gift. The Style Theory Collective by Lisa Rosado – This girl has got style, sass, and she is one incredible boss babe. She is a proud business owner of a chic online boutique called The Style Theory Collective. I love her collection, and she sells it oh-so-well. You can find her pieces on her site, and follow her on Instagram. 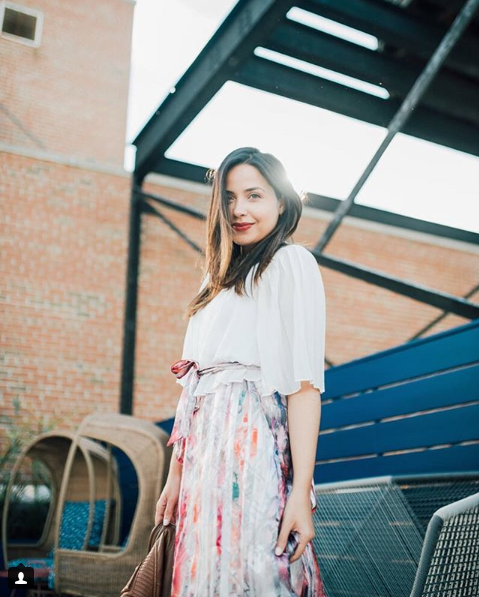 Rachel Parcell Collection by Rachel Parcell – Rachel is one of my absolute favorite blogger babes. 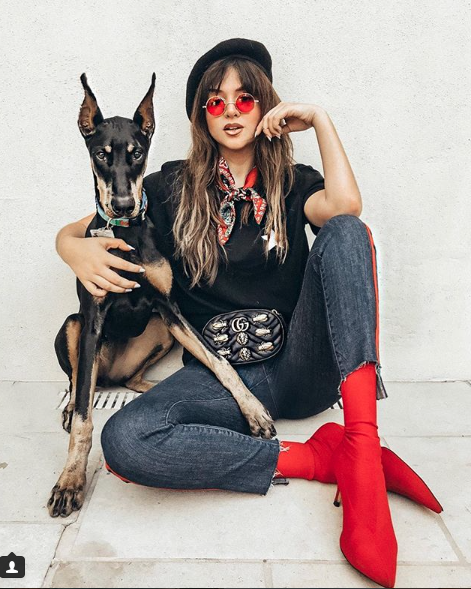 This girl has got it all…style, grace, perfect hair, an incredible blog, and one, stunning clothing collection. She is a true inspiration. If you love her style, (and I know you will), you’ll be head over heels for her clothing collection. Check it out, and follow her on Instagram. MizzFit by Bianca Jade – As a health, wellness, and beauty television host in NYC, this super fit, fashionista rocks! Her energy is contagious, she’s a stunner, and amazing on and off camera. She’s also the brains behind her wellness subscription box service, which you can check out here. I know you’ll love her as much as I do. You can follow her on Instagram here. Untamed Petals by Amanda Judge – I’ve followed Amanda for quite sometime, and I gush over her accessory designs daily. 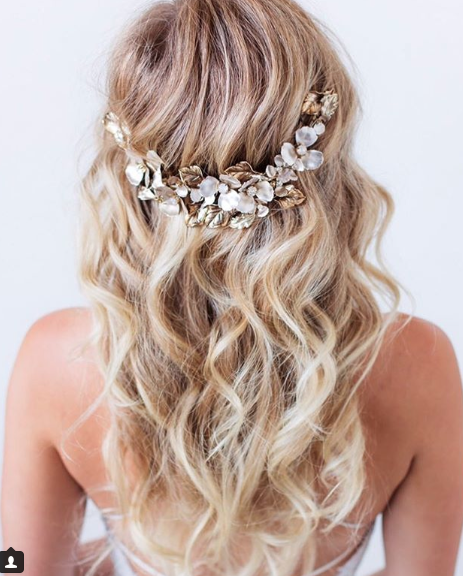 She creates such stunning bridal hair pieces and jewelry. I’d love to get married all over again, just to be styled in one of her epic pieces. Make sure to check out her collection and follow her on Instagram.